Why does my child always have their tongue out? Be sure to sign up for our email updates to first the first to know when we publish a new post! The reason the tongue protrudes, other than as a natural reflex, is that the tongue is or appears large. Several things can give this appearance, a true large tongue, a small mouth, growths/masses around the tongue, muscle tone and mouth breathing. If your pediatrician finds one of these things, they should then try to see if there are other characteristics that fit into a syndrome or diagnosis. A syndrome means that there is a cluster of characteristics that are found together. Tongue protrusion is a characteristic of Down syndrome, however a person cannot be diagnosed with Down syndrome if they only have tongue protrusion. As you will soon read there are several diagnoses that are associated with tongue protrusion. The majority of text books and articles think that children with Down syndrome have a large tongue, however, from my experiencee as a medical doctor (and a parent of a child born with Down syndrome I think several of the reasons listed below contribute and it can be considered apseudomacroglossia (appears large but is actually normal size) in most cases. A small mouth will make a normal size tongue stick out giving the appearance of a large tongue. You can have an overall small mouth which I feel a lot of children with Down syndrome have. One reason a child with Down syndrome can have a small mouth is because they have differences in their palate (the top of the mouth) the most common being a narrow higher arched palate. A small mouth is also seen in DiGeorge syndrome. Another cause of a small mouth is micrognathia which means small lower jaw. When looking at a child you usually see a recession of the lower jaw so that it looks like the chin is sucked back. Pierre Robin is a sequence that occurs with the diagnosis of micrognathia. If the tongue has no tone it will rest in state that is completely relaxed and likely protrude from the mouth. Just think about what your tongue is doing right now. You are holding it back in your mouth, if you just relax the muscle it takes up a lot more room in your mouth. There are several other syndromes that have hypotonia besides Down syndrome including, Prader-Willi, Rett syndrome, and several others, even benign congenital hypotonia which will resolve on its own. Masses or growths in and around the tongue can either make it large or push the tongue out. There are cysts that can form in salivary glands or what is known as a thyroglossal duct cyst. Cysts are usually observed and resolve on their own. One of our friends right now is dealing with a possible lymphatic malformation that is causing their baby’s tongue to appear large. Simply being a mouth breather can cause the tongue to protrude. Infants are typically nose breathers so something usually causes them to breathe through their mouth whether it be nasal congestion from a cold or allergies, or large tonsils and adenoids. Babies with Down syndrome can often end up being mouth breathers for all of the above reasons. If the reason is large tonsils and adenoids, a surgery may be in order to have them removed if they are causing other problems such as sleep apnea or chronic ear or sinus infections. 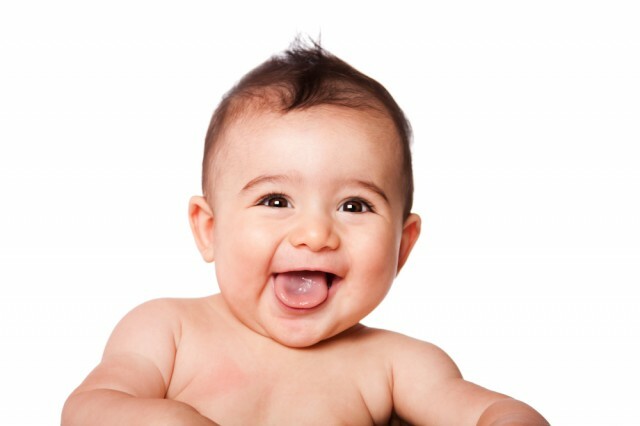 Some infants develop a habit of sticking out their tongue that continues after the normal reflex has resolved. They have none of the above characteristics, but continue to have tongue protrusion once they start eating. This should probably be dealt with by a speech therapist to help them break the habit. 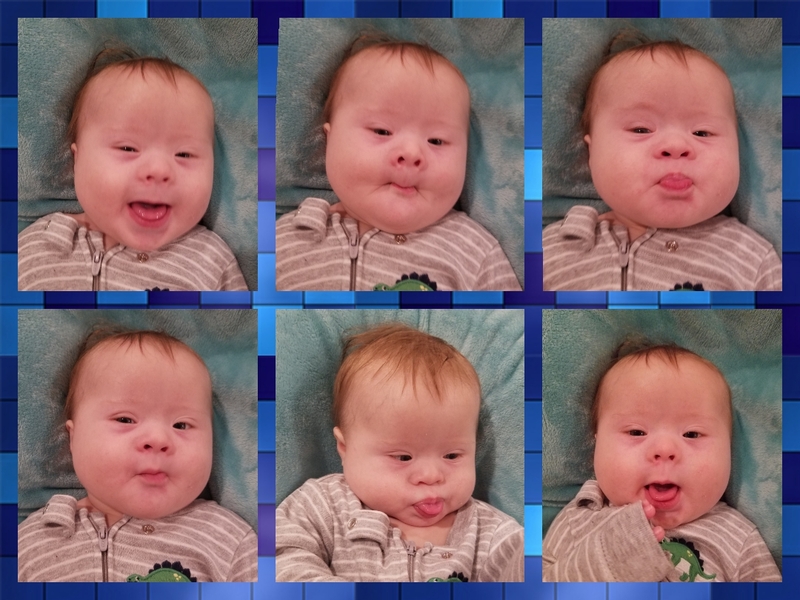 So, does my child have Down syndrome if they have their tongue out all the time? As I’ve discussed, there are multiple reasons for a child to exhibit tongue protrusion (having their tongue out.) Parents of newborns often jump to the conclusion that their child has Down syndrome if they see them sticking their tongue out “all the time.” First, ask yourself if you’re being hypersensitive. Is your child really sticking their tongue “all the time?” Second, tongue protrusion alone will not warrant a Down syndrome diagnosis. Your pediatrician will be looking for a combination of characteristics, and ultimately a Chromosome analysis, before confirming a Down syndrome diagnosis. As always, if you have any concerns about your child, you should always talk with your child’s pediatrician. While the internet can sometimes be helpful, it is by no means a substitute for your child’s pediatrician. Every child is unique, and what you read online about one person’s child, will not always equally apply to yours. Often times parents could save a lot of unnecessary worry by simply bringing their child in to see their pediatrician when they have a medical concern instead of surfing the web, but I know you aren’t one of those types of parents. What can you do to help with tongue protrusion? We are still working on this one ourself. Some of the above can be corrected with surgery such as taking out the tonsils and adenoids, extracting the jaw for Pierre Robin and removing cysts. I will have to say that Noah’s tongue protrusion drives his mama a bit crazy. :-) His is not correctable by surgery but requires the help of a speech therapist. We are just starting out with speech therapy and don’t have many tips yet. We have been told not to tap or flick the tongue to encourage it to go back in the mouth (I am sure there will be a few of you who have actually been told the opposite). We have been told to encourage him to drink from a straw and make sounds that cause you to close your mouth such as“ba” and “ma”. I really like that last one We have also used the Z-vibe with Noah with is often used to helpÂ strengthenÂ oral motor skills. What have your speech therapists told you about tongue protrusion? Great,it is amazing to read your posts.I too have a daughter who has downsyndrome.She is 8yrs old.We thank GOD for giving Hiral in our lives.She is here for our evolvement.That’s what we belive.All questions ,all acquisitions on HIM are now changed into GRATITUDE.As her DAD says “she is the most prized possesstion”.I learnt to love HIral from her DAD.KUDOS to DADS. I really enjoy your posts about Noah. I have a Great Grandson, who is Down Syndrome also, whose name is Ryder. Ryder just turned three at the end of June. He has an older sister and a younger brother, who aren’t Down children. But he means so much to all of us in his big family. He is just so special, and though I don’t get to be with him often, I think he recognizes me when he sees me. His smiles are precious. I read a comment from his Mom a while ago about for the first time, she is actually watching her two boys play together and not just side by side with his own toy. His little brother, Case, was one year old on the fourth of July, but he has been very quick to learn, and acts more like a two year old than one. Ryder doesn’t talk but is very intelligent, and goes to a class and has been learning Sign Language, and is pretty proficient in performing several signs for a few of every day communication, such as I Love You, Yes, More, No and Stop; which, his granddaddy (my son) was talking to them on the tablet or whatever it is called, (they can see each other) and he asked Ryder if he wanted to come to DoDah’s house, and Ryder got very excited, and started signing ‘yes, yes’ and my son said in the background he could see the little guy also signing I know that the two of them plus the 5 year old sister, Everly, will learn from each other lots of things in the future. I know Ryder’s mom and Dad are great parents, and all of the kids are very important to us, but there is a very soft spot for my Ryder Man in my heart. Getting excited about things we know he will maybe achieve in the future. But I have written to you before, letting you know that I think you are a wonderful father to Noah, keeping up with a running blog on his life. I think you have a good amount of people who follow your daily writings. May God bless you, Noah’s Dad, and of course his Mom also; and of course Noah, and his walk through his precious life. Thanks for the sharing of facts of Noah’s life to many who are definitely interested. Sincerely, Dottie Copeland, Ryder’s Great Grand-mother..
Dottie Copeland…………………… appears to be a beautiful loving lady..
We haven’t had to go back to the speech therapist since that first visit. Weston is eating solids off a spoon, talks (he says mama, dada, baybay, nana). I just remembered, his OT gave me a book a couple of months ago called, Baby Steps – Exercises for Baby’s First Year of Life, by Susan Fox. I found an exercise in the book that says to put your finger on baby’s top lip and bring it down to his bottom lip and make a mmm sound. I started doing this with Weston and within a few weeks he started saying mama. I’ve used other exercises in the book as well, one for sitting, and now we’re working on crawling. We saw his OT a couple of weeks ago and she was so impressed with his progress that she doesn’t see any reason for him to come back. Thanks for posting such great info! I am the proud momma of four, having a 18 month old that we are now finding out might have mosaic downs. It is helpful to read positive information that is helping me to learn many ways to help my sweet baby girl! Best wishes, and thanks again! Thanks for the comment, how is everything with your daughter now? Health wise? Our speech therapist also told us NOT to tap our son’s tongue as she said this would encourage more tongue protrusion. Instead, she advised us to touch the inside of his cheeks to encourage tongue lateralization, build oral awareness and strengthen tongue muscle. The speech therapist also advised against using a pacifier or sippy cups. I like the idea of practicing “ba” and “ma”. We practiced both for speech when he was a baby without knowing it could help with tongue protrusion. I have an almost 11 year old son with Ds. At this point his tongue doesn’t protrude to much, mostly when he’s drinking from a cup. We have been working with a speech pathologist who is trained in Oral Motor Placement Therapy, based on Sara Rosenfeld (she has a third name and I can’t remember it). Gabe calls them “mouth exercises” because that’s what we’re doing strengthening the mouth and tongue. We work on tongue lateralization, tongue retraction and keeping Gabes jaw straight. He also has severe apraxia and is speech delayed. I can say that although it’s one more thing to do, his therapist and our family notice a difference in his speech as well as the tone around his mouth. When he drinks from a cup or straw and we catch him with his tongue out, we tell him “fishy lips!”. He’s not always open to it but he can do it and does with prompts. It is making a difference. Another reason a baby sticks out their tongue is due to undiagnosed congenital hypothyroidism. Sometimes newborn screening doesn’t catch CH and even mild CH can cause the tongue to protrude. 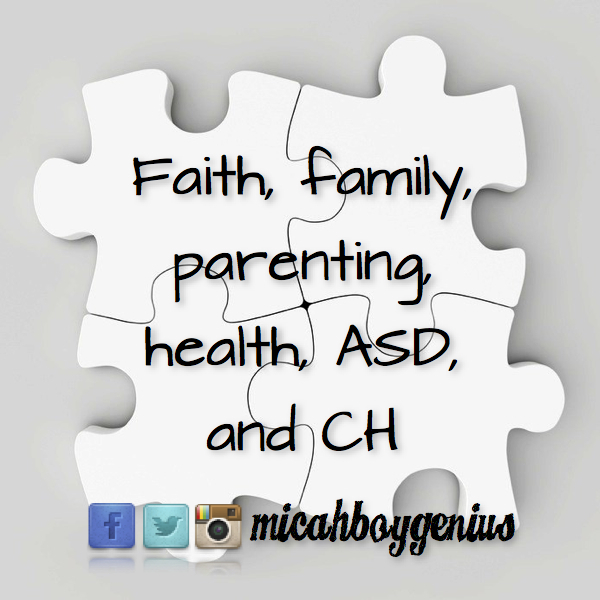 What I have found interesting about Micah and my other son Eli who both have CH is that the “markers” found in utero and the common medical symptoms (heart & gastro stuff) for CH are VERY similar to those with babies born with DS. Very interesting! Great information! Many blessings from Michigan, from the Genius family! I am just curious, I have Ehlers-Danlos Syndrome and my parents, family etc have commented on how I always had my tongue stuck out as a child. I am 23 now but was wondering if that is something that is common in children with EDS. I know most EDSers have small mouths! Thanks and I love your blog so so much! 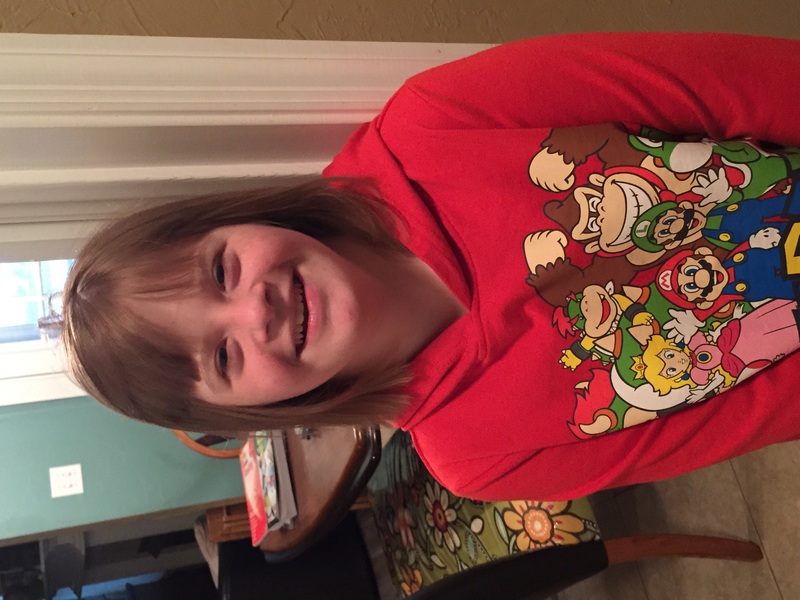 In high school one of my good friends had Down syndrome, I was her buddy through our school buddy program! We went through K-12 together and being her friend and seeing her grow was one of the most rewarding experiences of my life! Thank you for all you do and the awareness you are spreading! I just looked the tongue sticking out thing as my nearly 4year old has just started doing it. She is Hypermobile and I’m looking to get her checked formally for EDS so it’s interesting to see your comment. I’m looking for ideas to stop her doing it as she is making the skin round her mouth sore and has only recently started doing it. I am a speech therapist and was happy to stumble upon this discussion by a professional. I have worked with numorous syndromes, and although I love all kids, Down’s babies are the sweetest, most loving (and stubborn) angels of all. One suggestion for reducing tongue protrusion in Down syndrome babies is rubbing/massaging the outside of the cheeks in circular motion (moving upward towards the ears). It is best to start this practice early on, however it’s never too late. Do this as often as your child can tolerate and you should begin to notice a difference. With all kids, you never want to make them feel insecure with themselves, so be gentle in how you give them reminders to pull their tongue in if verbal reminders are how you choose to go about dealing with tongue protrusion. I did not read through all comments, so please forgive me if this has already been discussed. Please use people first language and never say “Down’s baby”. I would walk out of your office if you ever spoke about my child that way. Just some friendly advise. Hi Linzi. I too have realized my 6 month old recently started sticking her toungue out all the time. It started about 2weeks ago and a couple days ago is when I starting becoming concerned. It literally is out her mouth all day . I’m glad I came across this because I will bring it up to her pediatrician now. How has your baby been doing? My new granddaughter is now 5 days old. At 2 days old my son took some pictures of her. She is a big baby, over 9 lbs when born. The first picture I noticed was one in which she looked more mature than her age. She was glaring with her eyes wide open and her eyebrows down as if she were angry. The next picture was of her with her tongue out, all the way out of her small mouth. The corners were open. Her expressions puzzled me, not much like a newborn. 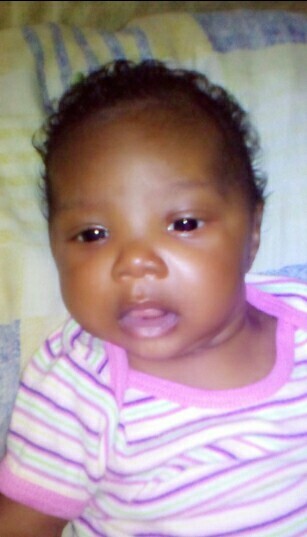 Can you help relieve my mind, she looks like a 3 month old with a temper. I am so worried. Ur real amazing I still don’t know for now.I have a baby boy he is 6 month now but he always stick his tongue out n have a loots of salaiver like he wants to grow some teeth,so I don’t understand what can it be.Am just worried a bit. I did one of the things it said not to do, one of Ethan’s doctors said to thump him and gentley push his tongue back in. I nursed Ethan for two years, because new research had come out about the sucking helps flatten out the palette and I started him on a straw as soon as I could. Ethan doesn’t have the tongue thrust except if he’s super tired and forgets, we remind him and he corrects the problem. We also has speech and extra math, and trading three times a week with his elementary teacher. She also corrects his tongue placement. He works so hard for her and doesn’t want to disappoint. My son leaves his tongue out because of mouth breathing. That is caused by a birth defect called laryngomalacia. It is where the the flap at the top of the larynx is shaped wrong and is sucked in every time he breathes. He can breath through his nose normally, but he likes to breath through his mouth because he gets more air. As a mom of a 14 year old girl with DS and a dental hygienist, I’d like to add another little tidbit here. Be sure you keep an eye on your child’s tonsils. Typically with DS, they will have large tonsils and adenoids. When this is the case, coupled with low muscle tone around the mouth, it can exacerbate their tongue protrusion. A palate forms it’s correct shape partially by the forces of a tongue in proper position. If the tongue has no room because the child’s tonsils are taking up so much room (or causing them to mouth breathe), the palate will form high and narrow. My daughter had her tonsils out at age 2 and her palate is fine, her arches are not crowded, and she does not protrude. Early screenings are very important for a growing mouth! As a mom of a 14 year old grl wth DS and a dental hygenst, I’d lke to add another lttle tdbt here. Be sure you keep an eye on your chld’s tonsls. Typcally wth DS, they wll have large tonsls and adenods. When ths s the case, coupled wth low muscle tone around the mouth, t can exacerbate ther tongue protruson. A palate forms t’s correct shape partally by the forces of a tongue n proper poston. If the tongue has no room because the chld’s tonsls are takng up so much room (or causng them to mouth breathe), the palate wll form hgh and narrow. My daughter had her tonsls out at age 2 and her palate s fne, her arches are not crowded, and she does not protrude. Early screenngs are very mportant for a growng mouth! Can this be a symptom of cerebral palsy? 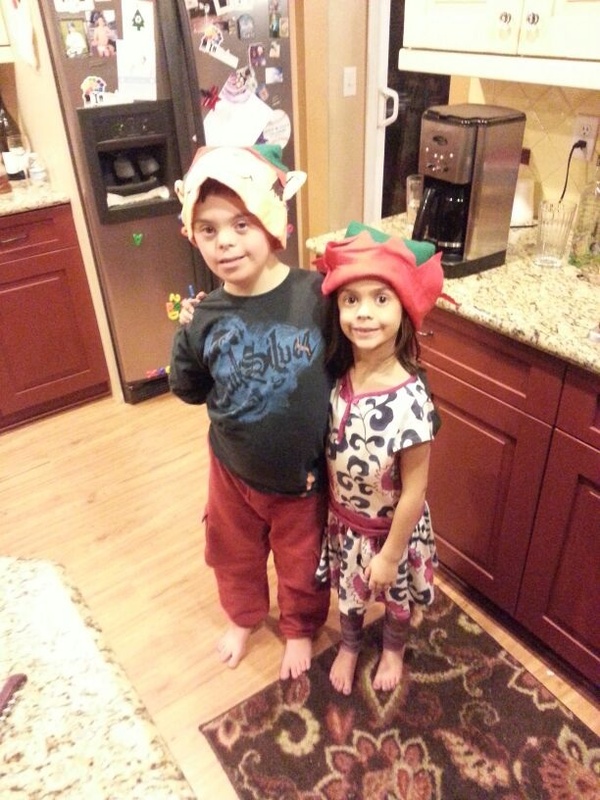 My 9 month old daughter was screened for Downs in utero, and the results said her risk of Downs was very low. However, she did have chorioamnionitis, fetal distress, and was not breathing at birth via emergency c-section. She was full-term. She seems very happy and alert, tracks well, is curious, seems very social, babbles (but isn’t talking yet), responds to her name. But, she was very slow to roll over, still can not get into sitting position, can sit for several minutes but is not very steady, can not pull upon her own or stand even when supported. She also is having a hard time transitioning to solids, possibly because of difficulty swallowing. She has overall low muscle tone, including tongue protrusion. She can crawl, but her feet tend to splay outward while crawling. My youngest (with DS) is 7 months old and when he is tired, usually before a nap but sometimes right after, he is much more likely to have that cute little tongue out of his mouth. If he’s not too tired to play, then I usually encourage him to play one of these three oral/motor games with me. Doing any of them either causes him to bring his tongue inside his mouth or to at least get it some exercise. 1. Make kisses. My son thinks this is hilarious. When he is alert he often makes them on his own. When he is drowsy, he is often tempted to make them if I start making them first. He has to pull that tongue in to make the kiss face. 2. Make /m/ /p/ or /d/ sounds. Okay, to be fair I usually encourage /m/ more than the other two because I’m determined that he will say mama before dada (unlike my 4 older kids!!). But mimicking my sounds with his own is good practice for him. He’s not very good at any of them yet, but usually will still perk up and start vocalizing, bringing that tongue inside. 3. Blow raspberries. He loves doing this! His older siblings are very willing to engage in this activity with him. If they tell me “Ben has his tongue out” I can tell them to blow raspberries at Ben to see if he wants to play. If Ben’s not in the mood for any of those, a quick tickle under the chin usually helps for a few seconds. He brings his tongue inside while he giggles and smiles. Ive just received the most precious bundle of joy from my daughter. She was born via c section and has had no apparent problem, however,she’s one month old and she breathes through the mouth continually, she likes to poke her tongue out and she likes to cuddle a lot. To me there are really no signs of D’s because she looks a lot like her mother when she was a new born but her features are smaller, her head eyes ears and mouth. We have seen nurses and doctors and no one has said anything to us at five weeks she seems to recognise voices ,she has a strong grasp,she makes little cooing sounds,she rolls over but I am so concerned about her sticking out her tongue. Our society is not nice towards children who are different,I pray that she doesn’t have a Syndrome because this will devastate the mother. Either way I will always love this little girl and will always and forever be here for her.she will make her six weeks check up in two days I am eagerly waiting to hear what the nurses will say to us.i enjoy reading the posts ,so positive and encouraging.